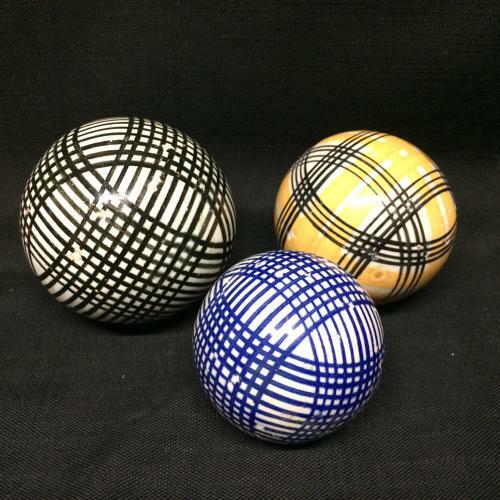 The set includes one black, one orange, and one smaller ladies blue striped decorated balls. The condition is very good. A few scuff marks from games played in the past. A glorious example of the finest in English folk art, and amazing Stocking Stuffers to add to any collection of early sporting goods or early English ceramics. Please send us an email with any questions or if you would like to see additional photos.